OC Hit Factory, a subsidiary record label under Sony Music Entertainment, offers record deals, recording studios, songwriting camps, vocal and instrument lessons, artist management and development, and a live music venue to elite and exceptionally talented aspiring artists. OCHF prides itself as the number one, innovative, pioneering music powerhouse in Orange County. 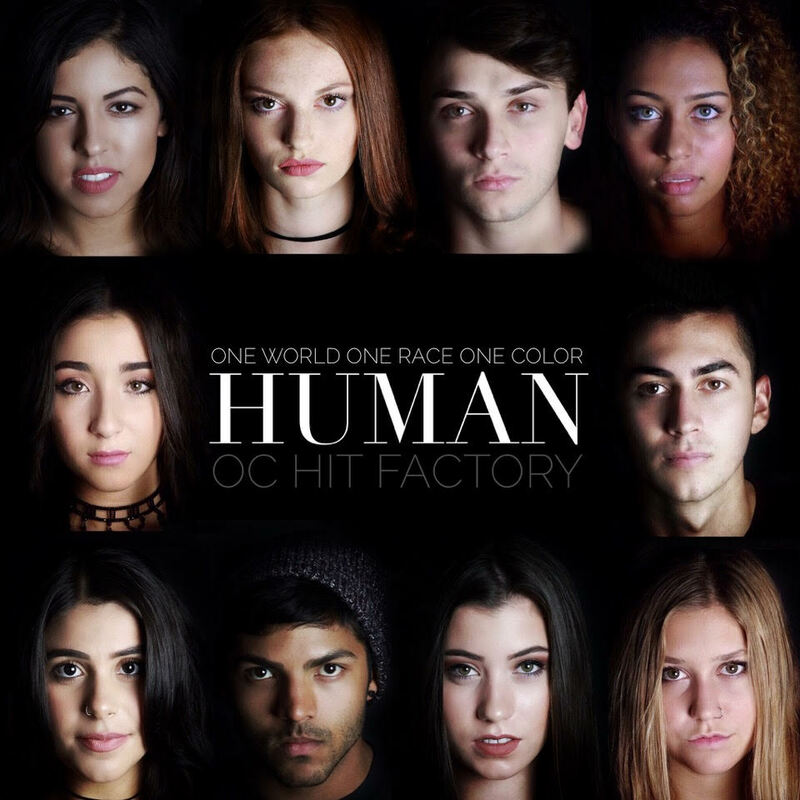 Tustin, Calif. - The Orange County record label, OC Hit Factory, releases the single, "Human," on November 15. The anthem of love, acceptance and unity is underscored by its slogan "One World, One Race, One Color, Human". Thomas Barsoe, Sony Music executive producer, OC Hit Factory owner and platinum recording artist, wrote "Human" to use the power and gift of music to make a change by giving back and to use his artists' talents to become the ultimate gifts for children in need. He summed it up in the lyrics, "If we spread our love like rings in the water, we can use our hearts to pay it forward." Jordan Schunk, Olive Crest Community Involvement Coordinator, says, "Olive Crest is very grateful to OC Hit Factory for helping us share the life-affirming stories of our adopted children through the power of music." Barsoe co-produced and mixed the song with Paul Najera of OC Hit Factory. Ten of the record label's best vocalists are featured on the track: Jessica Cabral, Ellie Soufi, Dallas Caroline, Cloi Crider, Robbie Dean, Jackie Hishmeh, Matthew John Fernando, Hannah Nicole Burton, Jada Northington and Gavyn Bailey, who all collaborated in the studio to interpret the song. While mastering the track, Grammy winning producer and mastering engineer, Lucas Pimentel noted, "'Human' brings a powerful message to a world that can use more unity, love and acceptance, especially these days! I had an amazing time mastering this project. So many incredibly talented artists are sharing their undeniable gift, and I encourage you to check them out! Kudos to my friend, Thomas Barsoe, for writing such a beautiful tune!" Mehdi Avaz, the leading music video director in Denmark, produced the official "Human" music video, which can be found here: https://youtu.be/WDyH7DoXZko. During OCHF's last 2016 songwriting camp, songwriters will team with children from Olive Crest, a local non-profit that prevents child abuse and supports at-risk children and families with life-transforming programs, to write original songs in honor of their stories. They will also be part of a professional music video for the song "Human," which will be released as a single and featured on a charity album to raise money for the non-profit. The songwriting camp culminates in a huge live showcase and album release party on December 10, where toys and gifts will be presented to the special guests of honor, the children of Olive Crest. The OCHF songwriting camp takes place at 2493 Park Avenue inside of Union Market at the District in Tustin. The two-day event runs from 10AM-7PM on Saturday and Sunday, November 12-13. To participate in this exciting songwriting camp, contact Angelica Henry via email angelica@ochitfactory.com or by calling (504) 296-8084. Joseph Cannavo - This Love - Great Music!!! Flyah Entertainment 2016. Powered by Blogger.